By the end of the nineteenth century the ancient science of Ayurvedic had r ached an unprecedented level of decline, and allopathic medicines were making major inroads into the Indian market. This is the story of one m n, P.S. Varier, and how the institution he founded in 1902, the Arya Vaidya Sala at Kottakkal Kerala has adapted this ancient tradition to the needs of the twenty-first century. Varier’s resources were meagre but his vision was unlimited. 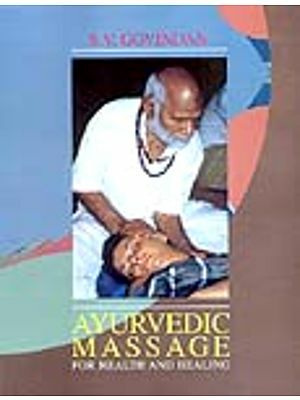 When he established the institution, it was one of the first centres that sold readymade ayurvedic medicines, an impressive achievement in its own right Varier however saw this function of the AVS as only one part of its role: he wanted it to be the centre of a holistic social entity, which healed people educated them in the ways of ayurved t4 brought together practitioners of this science. Varier was one of the founders of the Arya Vaidya Samajam, which gave practitioners the opportunity to share their experiences and to discuss common problems. He also established the Arya Vaidya Patasala to give formal and systematic education in the science, including aspects beyond its tradition boundaries. A hundred years later, the AVS’s many-faceted activities are a striking testimonial to P.S. Varier’s vision. The institution now has branches and agencies all over India and has adapted modern techno’ogy for the production of traditional medicines. The Patasala is today an Ayurvedic College. The PSV theatre, which Varier was a patron of, is now an internationally renowned Kathakali troupe. The AVS runs two hospitals in Kottakkal and one in New Delhi and has also undertaken much pioneering work in research and the dissemination of knowledge about ayurveda. The rediscovery of Ayurvedic is the story of a tradition in transition and of an institution that has pioneered this transition and changed the lives of those associated with it in many different ways. This book is sold sub1ect to the condition that it shall not, by way of trade or otherwise, be lent, resold, hired out, or otherwise circulated without the publisher’s prior written consent in any form of binding or cover other than that in which it is published and without a similar condition including this condition being imposed on the subsequent purchaser and without limiting the rights under copyright reserved above, no part of this publication may be reproduced, stored in or introduced into a retrieval system, or transmitted in any form or by any means (electronic, mechanical, photocopying, recording or otherwise), without the prior written permission of both the copyright owner and the above mentioned publisher of this book. Dr. M.R. Raghava varier studied at Calicut university Kerala and Jawaharlal Nehru university New Delhi and taught Ancient History and Indian epigraphy at the former institution. His work include a cultural history of Kerala (Volume 1) and Keralabaribram with Rajan gurukal his collection of research articles on the history and culture of Kerala won the Sahitya Akedemi award in 1991 for the best work in social science his other areas of interest are literary criticism and folkloristic. Vaidyaratnam P.S. Varier, my uncle, started the Arya Vaidya Sala on 12 October 1902, the Vijayadasami Day, which is considered auspicious for initiating children into the world of learning (vidya). This marked the dawn of a new era in the history of ayurveda. The country as a whole, especially in socio-cultural spheres, was then imbued with the spirit of renaissance, and the diverse activities of P.S. Varier, which extended beyond ayurveda into education, journalism, theatre, music, literature and philanthropy, embodied this spirit. The impact of these multi-faceted activities has now become part of our history. Having laid firm foundations for the various institutions he started, P.S. Varier left us on 30 January 1944, bequeathing the Arya Vaidya Sala and its entire assets to the public. Fulfilling his wishes, my elder brother P.M. Warner continued his mission, as the first Managing Trustee. But after his tragic death in 1953, these responsibilities unexpectedly fell on my shoulders, and I have been trying for the past five decades to emulate the standards set by them and to fulfil their dreams. With the help of my colleagues and the well-wishers of the Arya Vaidya Sala, we have been able to develop the organization into a multi-crore international institution. This period of growth coincided with ayurveda winning worldwide recognition as a proven system of healing. 2002 is our centenary year. It was felt that we should record the unique history of the Arya Vaidya Sala for the past hundred years, as it embodies the spirit of renaissance and self-help that echoes the larger national awakening that happened in India in the early decades of the twentieth century. We are much indebted to Dr M.R. Raghava Varier, who agreed to our request to write this history and made time in his busy schedule to complete the task. Dr K.N. Panikkar, renowned historian and educationist who has been closely associated with us for a long time, was kind enough to write the illuminating foreword. Penguin Books deserves our special thanks for bringing out this book. Arya Vaidya Sala is a big family, comprising of our colleagues, clients, patients, friends and well-wishers. For all of us this is a moment to rededicate ourselves to the service of humanity. In the history of Indian medicine the nineteenth century was a significant period for many reasons. An important one was that indigenous systems like ayurveda and unani reached an unprecedented state of decline due to continued stagnation in knowledge and lack of innovation in practice. Colonial rule privileged the western system through preferential treatment, which adversely affected the prospects of the indigenous ones. The response to this was a movement for revitalization, which manifested itself those forcefully in Bengal, Maharashtra and Kerala. The main features of this movement were systematization of knowledge, institutionalization of training and standardization of medicine. The progenitor of this movement in Kerala was Vaidyaratnam Paniyinpally Sankunni Varier, the founder of Kottakkal Arya Vaidya Sala. Born into an orthodox but cultured family on 16 March 1869, Varier imbibed the elements of art, literature and medicine from childhood. His professional training, however, was in ayurveda, which he enriched by acquiring knowledge of allopathy. Varier was a visionary, a renaissance man and, above all, a religious universalist. He promoted Kathakali, patronized writers and artists, and provided a congenial atmosphere for intellectual deliberations. The entrance to his family house is adorned with the symbols of Hinduism, Christianity and Islam, and during the trying days of the 1921 rebellion he was a source of solace for both the Hindus and Muslims. The Arya Vaidya Sala established in 1902 at Kottakkal by P.S. Varier marked the beginning of a new phase in the history of ayurveda in Kerala. It became the focal point of a revitalization movement, which touched almost all aspects of the system, be it the training, the dissemination of knowledge, or the preparation and distribution of medicine. Along with the Arya Vaidya Sala, Varier also took steps to bring together the practitioners in an association called Arya Vaidya Samajam, which met every year, to deliberate upon present conditions and future prospects. The conferences of the Samajam drew people from all over Kerala, perhaps the first organization to do so, long before the Indian National Congress organized its first Kerala conference in 1920. The proceedings of the conference helped to create a sense of self-confidence in the system, brought together the uncodified experiences and innovations, and at the same time highlighted the weaknesses and the potential of the system. The Samajam thus acted as an avenue for the articulation of the concerns central to the efforts at revitalization. In the absence of properly organized institutions the state of knowledge of the practitioners and their command over the basic texts were not very satisfactory. Varier recognized this as a major weakness of the practice of ayurveda and tried to rectify it by establishing a patasala, which came into being at Kozhikode in 1917. The objectives of the Patasala were to revive ‘the once prosperous and now increasingly declining ayurveda’, ‘to bring about timely changes in it, to train physicians with sufficient knowledge and experience who can conduct the practice without others’ assistance and to acquaint the British government about the merits of the indigenous system.’ The curriculum of the Patasala was a combination of the indigenous and western knowledge. The emphasis was indeed on mastering ayurvedic texts and through that acquiring knowledge f medicines and their preparation. They were supplemented with instruction in physiology, anatomy, chemistry, midwifery and surgery incorporated from the western system. The Patasala thus had a modern outlook without sacrificing the traditional. The preparation and marketing of medicine was an area in which the Arya Vaidya Sala played a pioneering role. One of the weaknesses of the traditional practice was that the medicines prepared by the patients were not always in conformity with the prescription of the physicians. It was realized that the allopathic system scored over the ayurvedic in easy availability and quality control of medicines. The Arya Vaidya Sala undertook the preparation of medicine, evolved a system of bottling them and created a network for their marketing. Started at a small scale, it grew into a big commercial operation, with branches and agencies in almost all towns in Keralam and quite a few outside. The turn over of the Vaidya Sala during the initial years was only Rs 14,000 a year, which swelled to Rs 83 crore by 2000. This in fact is an indication of the overall progress achieved by the institution during the course of the century. The groundwork for this phenomenal success laid by P.S. Varier was efficiently carried forward by his successors, P.M. Warner and P.K. Warner. The institution is now poised to reach new heights by setting up a deemed university for the promotion and propagation of knowledge of ayurveda. The role of the Arya Vaidya Sala and the institutions associated with it in the progress achieved by Kerala in the field of health has not received adequate recognition. The health awareness of the Malayali owes much to the initiatives of the Arya Vaidya Sala to disseminate medical knowledge in an easily accessible manner. P.S. Varier authored several books, which helped to acquaint the public with the rudiments of ayurvedic medicines and treatment. He also published the only medical monthly in Malayalam, Dhanwantari that provided a forum for debate and discussion of issues relating to the revitalization of ayurveda. These publications created a corpus of literature easily accessible to the practitioners and the public, and thus gave rise to social consciousness about the use and importance of ayurveda. Ayurveda has now become a domestic medicine, mainly because of the awareness created by the Vaidya Sala, which in turn has greatly contributed to the improvements in health conditions in Kerala. The origin and growth of Arya Vaidya Sala is intrinsically entwined with the cultural renaissance in Kerala; its importance went much beyond a traditional institution of medical treatment. How it evolved so over the century is the theme of M.R: Raghava Varier’s cogently written monograph. 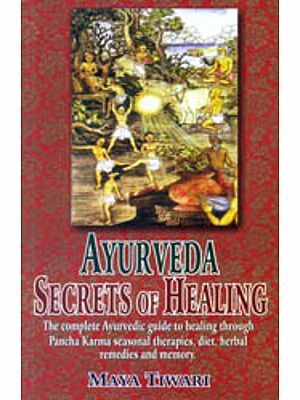 It deserves to be read by all those interested in the history of ayurveda in general and of the Arya Vaidya Sala in particular. It situates the efforts of P.S. Varier and his successors in the larger historical and social contexts and thus highlights the importance of their contribution. It is a pleasure to commend this book to the discerning reader.